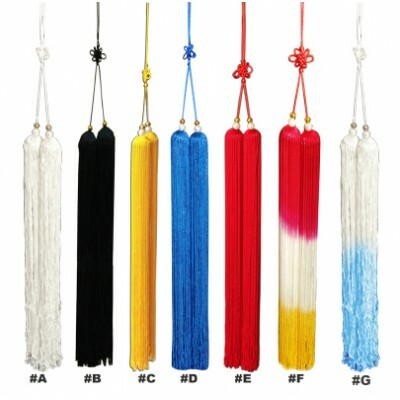 Braided threads last longer under the stress of hard training. 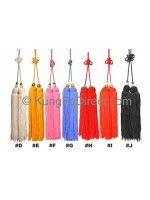 Length of ribbon(to attach to sword) - varies from 6-7 inches. 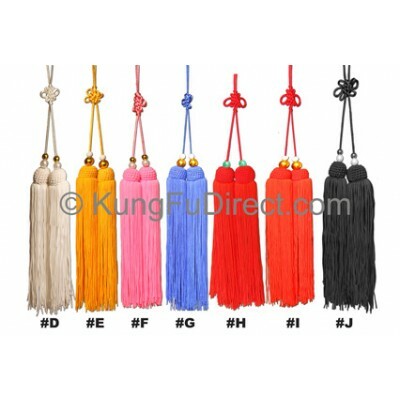 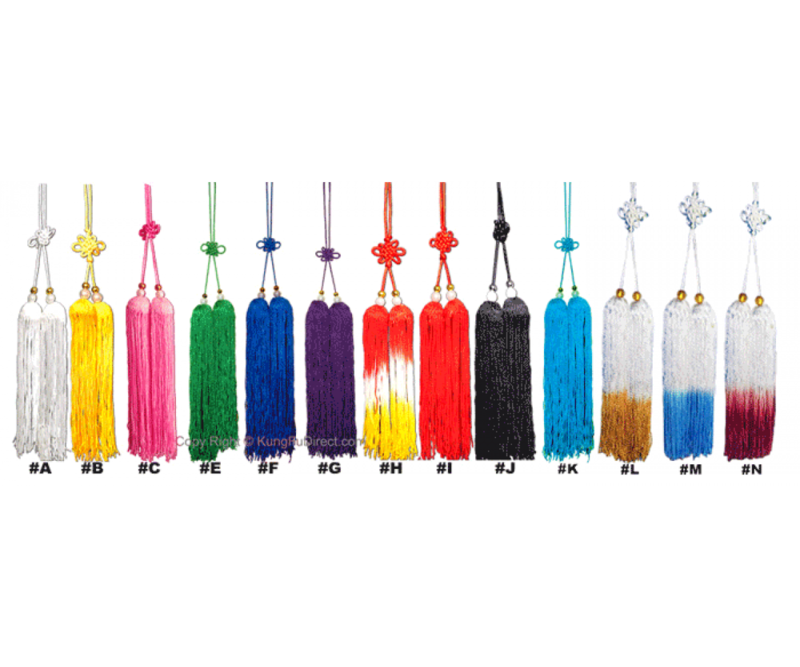 Due to varying ribbon and tassel lengths, total length of this product can vary from 17-19 inches. 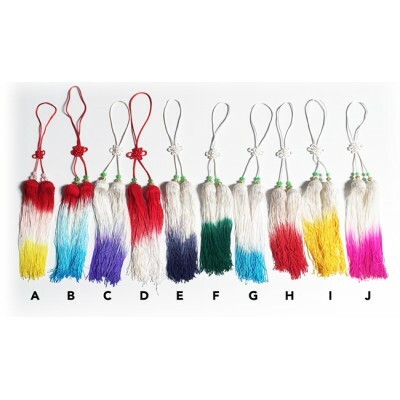 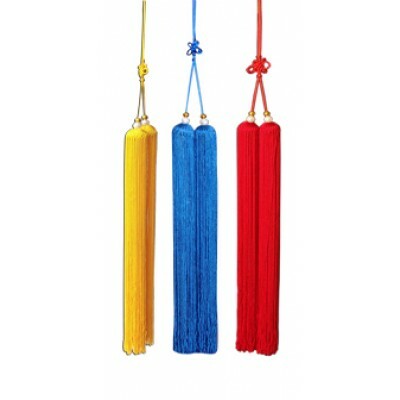 Tips for tassel reinforcement: first, pull each cord from the bottom of wooden head; second, tie up the two cords in order to reinforce the whole tassel.